Today the 56th San Francisco International Film Festival (April 25–May 9) announced 22 films in competition for the New Directors Prize and the Golden Gate Award nominees for documentary feature (in-depth look about the documentaries will be posted tomorrow). The International will award $15,000 for the New Directors Prize, which will be given to a narrative first feature that exhibits a unique artistic sensibility and deserves to be seen by as wide an audience as possible. Independent juries will select the winners, which will be announced at the Golden Gate Awards, Wednesday, May 8. View this year's narrative features below and remember the best value to watch them all is to purchase an Early bird CineVoucher 10-pack! As a mysterious epidemic eviscerates Lima’s adult population—but spares its children—a solitary middle-aged forensic worker discovers an orphaned boy at one of his cleanup sites and decides to shelter the traumatized youth until he can find a relative to take him. As time passes, a subtle transformation takes hold of both man and child in this gently haunted and affecting study of social alienation and redemption. Highlighted by an impressive and subtle performance by Martina Juncandella, first-time director María Florencia Álvarez’s film traces a 20-year-old woman’s spontaneous attempt to create a new identity for herself as a Lebanese orphan in Buenos Aires. Sensitively examining the role of culture in self-definition, Habi, the Foreigner is a beguiling coming-of-age story detailing the feeling of being an outsider in your own land. In this strong feature debut, Song Fang directs and plays herself as she pays a visit to her parents at their home in Nanjing. Intimate and contemplative, Memories Look at Me muses on life, death and tradition while touching on the essence of family life with a mixture of melancholy and serenity. 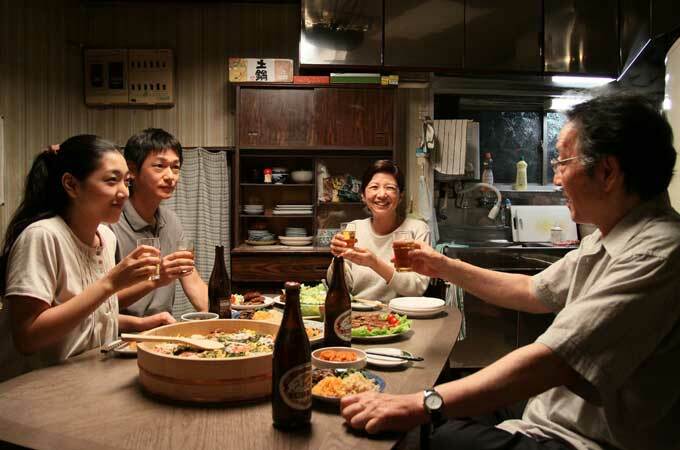 Based on the director’s own experience, this powerful drama tells the story of a family torn between Japan and North Korea. Rie, an ethnic Korean, lives with most of her family in Tokyo. The arrival of the family’s son, repatriated 25 years earlier to North Korea, forces the family to navigate difficult political and emotional waters. A recent divorcée named Mina takes a job as fortune-teller, reading coffee grounds in a cafe, but longs to move to the U.S. Using her own personal experiences and frustrated dreams to inform her work, she offers penetrating psychological readings for her customers and develops a loyal following. Uprooted from her destroyed village by the armed conflict in Colombia, young Alicia tries to start a new life in La Sirga, a ramshackle inn on the shores of a great lake in the Andes highlands. The house belongs to her uncle Oscar, an old solitary hermit. There, on a swampy and murky beach, she will try to settle down until her fears and the threat of war resurface again. Initiated in a seminar taught by Béla Tarr and inspired by Kafka’s Metamorphosis, this startling debut feature takes place almost entirely within the apartment of a family where relatives gather to prepare dinner, repair a washing machine and talk. With its quirky choreography of movement, sound and words, the film imbues the mundane with an odd sense of otherworldliness. Working with local communities and non-professional actors playing roles that mirror their own lives, Jeremy Teicher tells the moving story of a teenage girl who hatches a plan to rescue her sister from an arranged marriage. The film is also the first full-length international feature in the regional dialect of the Pulaar language of Senegal. A potent exploration of class and adolescence, They’ll Come Back tells the story of Cris, a privileged 12-year-old who—after being left on the side of the road as punishment for her and her brother’s constant bickering—embarks on a journey that will open her eyes to a world she never knew as she tries to find her way home. A nuanced portrait of identity coming into focus and a young woman willfully emerging from the shadow of a strong parent, the semi-autobiographical debut feature by the late, great Louis Malle’s middle daughter follows an inexperienced college student (Esther Garrel, daughter of Philippe and sister of Louis) whose sexual awakening coincides with her filmmaker father’s terminal diagnosis.